ATHLETIC BOOST: Should be taken an hour prior to working out. VEGAN PROTEIN: Can be consumed at any point of the day preferably post-workout. JOINT AID: Is best taken before bed or first thing in the morning. MSM SULFUR: Should be taken after workout for muscle recovery preferably in the evenings. Just received the Athletic Package and would like to know what sequence I should use in taking the pills? Bottles did not come with booklet that normally comes with the cleansing kits. There's no instructional booklet provided for the Athletic Package. 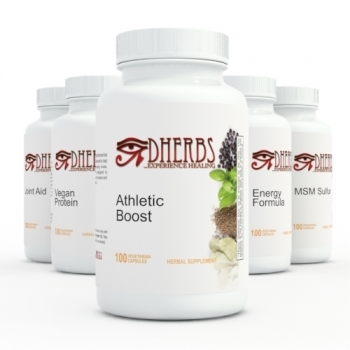 All the formula's in the package help to enhance your performance and can be used at different times of the day. This package should be used accordingly to your personal schedule and your needs. For best results take the formula’s 2 hours prior to needing it for your activity.